Simcha Even-Chen, a clay artist living in Rehovot, Israel, has been an active ceramicist since 1996, in addition to being a Senior Scientist at the Medical School, Hebrew University, Jerusalem. 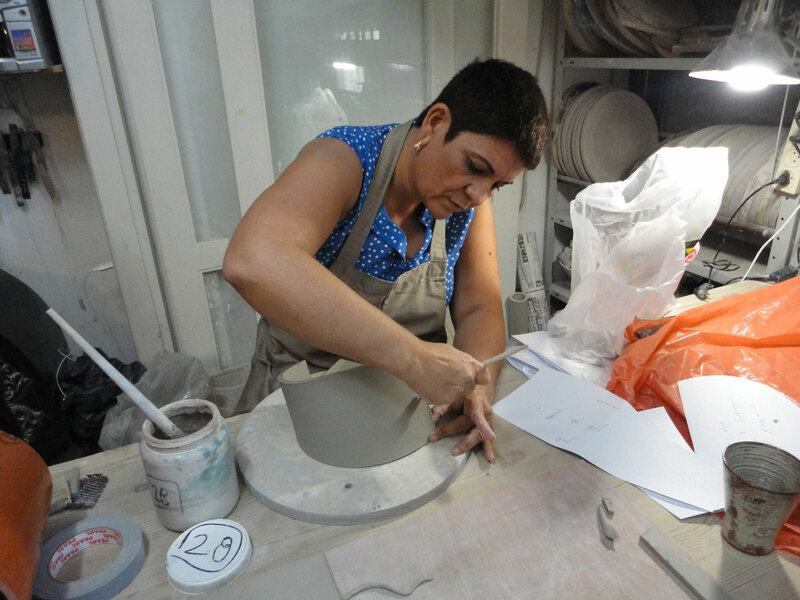 In 2013, after 22 years at the University she decided to devote herself entirely to ceramic. She had received significant awards and her ceramic artworks have been selected and exhibited at domestic and international exhibitions and have become part of museums, galleries and private collections. Simcha uses ceramics to investigate the relationship between "free" dimensional space and two-dimensional geometric surfaces, while examining the material's point of collapse and dealing with non-defined shapes, giving way to new abstract, organic and free forms. 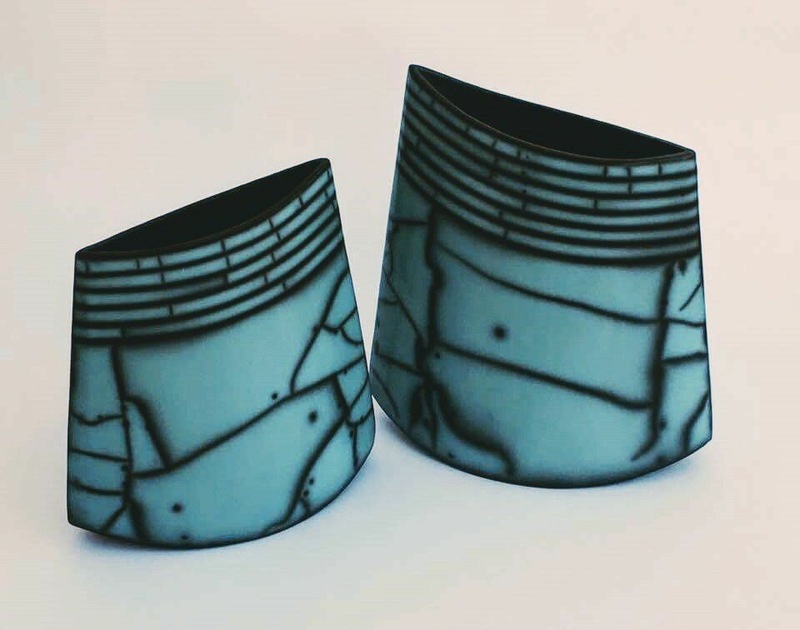 This specific 4 days workshop will focus on coloring, bisc firing, preparing slib and glaze, decoration and preparing the pieces for firing, and at least raku firing. For accommodation, please contact us. Please note that entries are only taken into account when 50% of the financial participation has been paid to IBAN account: BE32 6528 1406 4502 (BIC code: HBKABE22) of the association Espace Element-Terre. Without this down payment, registration is not valid. This deposit is definitively acquired in case of withdrawal less than one month before the activity date.